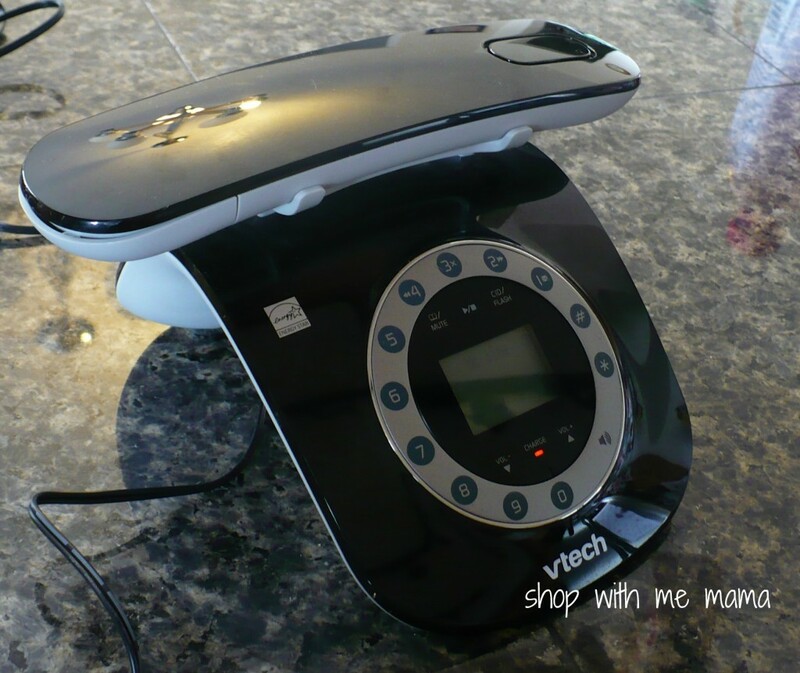 The VTech Retro Phone Review And Giveaway! Nothing like good old retro to take you back, huh? 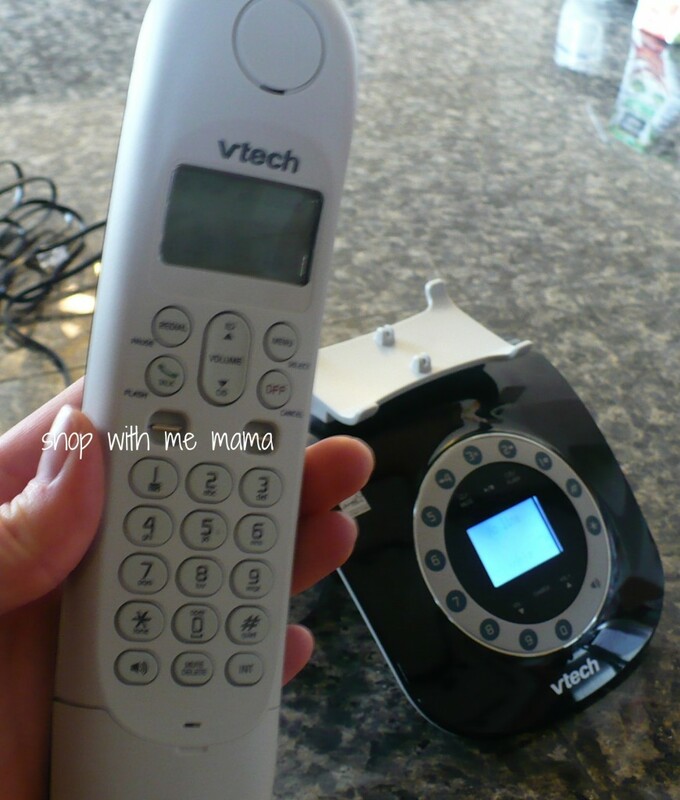 I love finding things that take me back in the day, and the new VTech Retro Phone, certainly does just that! Take a look at it!! It is very cool and sleek, yet has that retro look to it. This phone was inspired by the classic corded rotary telephone design. This sleek cordless handset rests face down on the charger, this allows for that classic look I just love! The numbers/dials are arranged to look like the old rotary dials, but really they are push buttons! Love this feature. It has caller ID and call waiting and store up to 50 calls, which is nice for me, since storage on my phones tends to be a BIG thing! And the handset will display the name, number, time and date of incoming calls. This is especially nice if you just don’t feel like talking to the person calling right at the moment..I KNOW you have all been there, LOL..
Want to be hands free while hanging on the phone? Yep, that would be me ALL the time. I cannot STAND my hands being occupied by the phone, I MUST use them for more productive things (like blogging!!). So the hands free aspect is a fave of mine. You can also bring more people into your conversation with the speakerphone. My kids love to talk to their grandparents or daddy with me, and having the speakerphone that is nice and clear is a big thing for us. The speakerphones allow you to talk and listen without holding the handset. One more cool thing is that it has power-conserving technology which helps manage consumption for optimal battery performance! I am very pleased with this sleek-looking, multi-function easy to use phone. This is definitely a phone that all busy parents or anyone, could use. Whether you are busy with your kids, blogging, making dinner, it is nice to not have your hands all busy! I bet you all like it now, huh? Thought so! It is a really great phone. 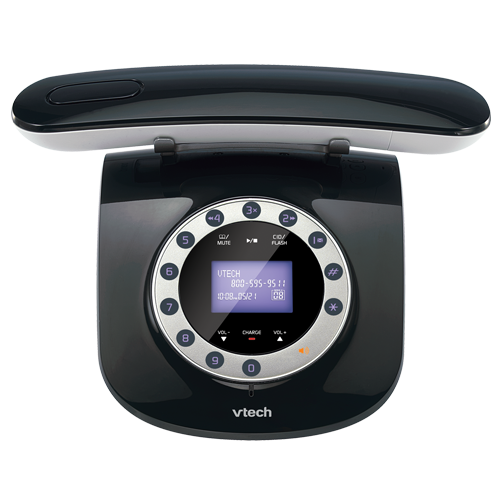 One lucky person will win the VTech Retro Phone! Easy! Just use Rafflecopter below! No mandatory entries, you can do one or all! Good luck to you! I was sent product to review, these are my own honest opinions, thanks! Originally published on 2012-05-21 by Kim at Shop with me mama .